Well, this wouldn’t be the blog it claims to be if the next recipe wasn’t an ode to its title. 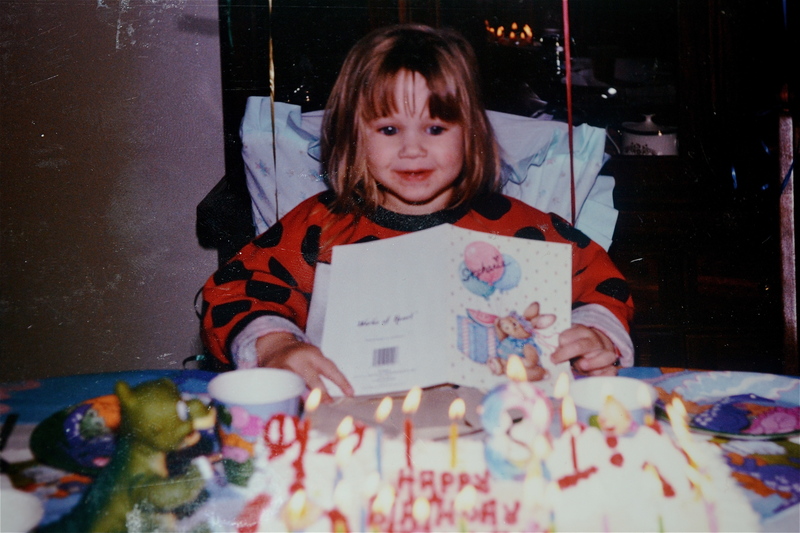 As a child, one of the best things about birthdays was the cake (OK, presents were pretty cool, too!). 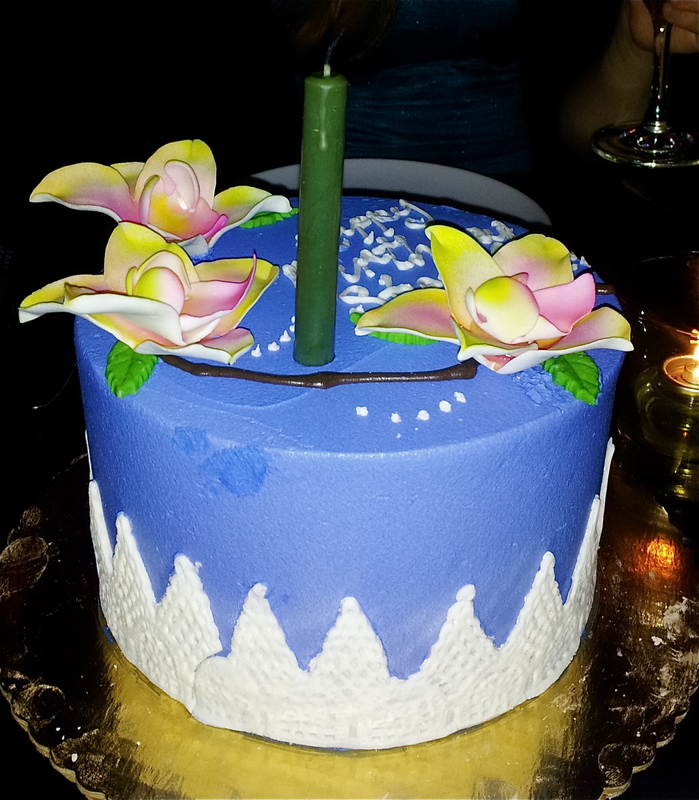 And while a birthday only lasts one day, the magical part is that cake usually lasts longer. I grew up in a small beach town on the East Coast, and it was there that we stumbled upon this woman, tucked away in the countryside, who would make these incredible cakes. I’m not sure what kind of witchcraft she played at, but those cakes were by far the best I’ve ever had. I would sell my soul to the dessert devils for that icing recipe. The soft, creamy sugar dissolved in your mouth almost immediately (I may or may not be salivating on my keyboard right now). This stuff was that good, and every year around my birthday I would practically stay up nights thinking about the yummy cake that awaited me the next day. But the best part was the days after my birthday, when I could wander downstairs in the morning (just a little groggy) and perk up to a slice of cake with black coffee. 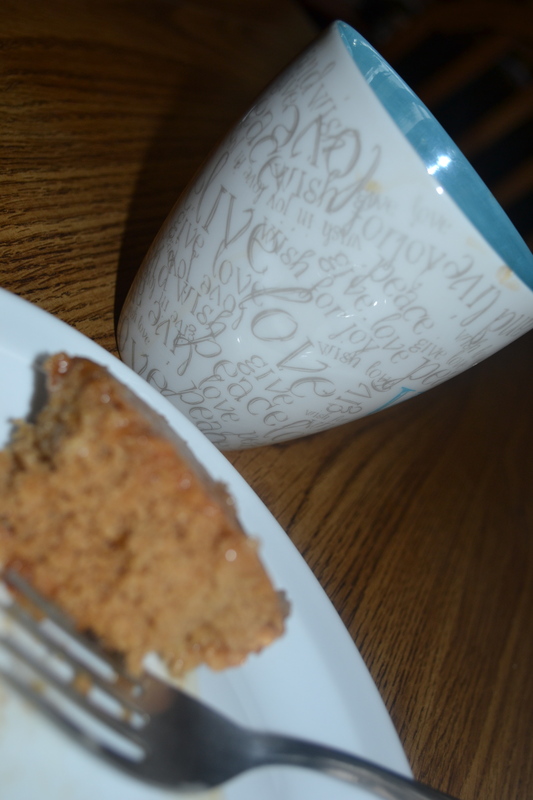 Seriously, is there anything more amazing than sweet, sugary cake and a pot of black coffee to wash it down? I think not. And this habit of cake for breakfast has been a steadfast, and might I say delicious, tradition. My mom instilled this tradition in me, and even now that I live states away (in a different time zone even), she still manages to surprise me with birthday cake (particularly an oversized one). She even tells me every year on her birthday that the best part is waking up to cake (I couldn’t agree more). Sometimes it’s the small things that make us feel kidlike and content. I love that cake can easily brighten a day and relieve life’s worries. Cooking and baking has a way of soothing me. I tried explaining to someone the other night how being in the kitchen comforts me. It was hard to find the right words. Years ago, being in the kitchen either meant I was burning something or scrounging for lunch meat that was still edible. Now, I yearn to have hours in the kitchen. I explained that even if I accomplish nothing else in the day, if I’ve made a successful meal at the end of the night it feels like an accomplishment in and of itself. Also I enjoy the solitude of it. 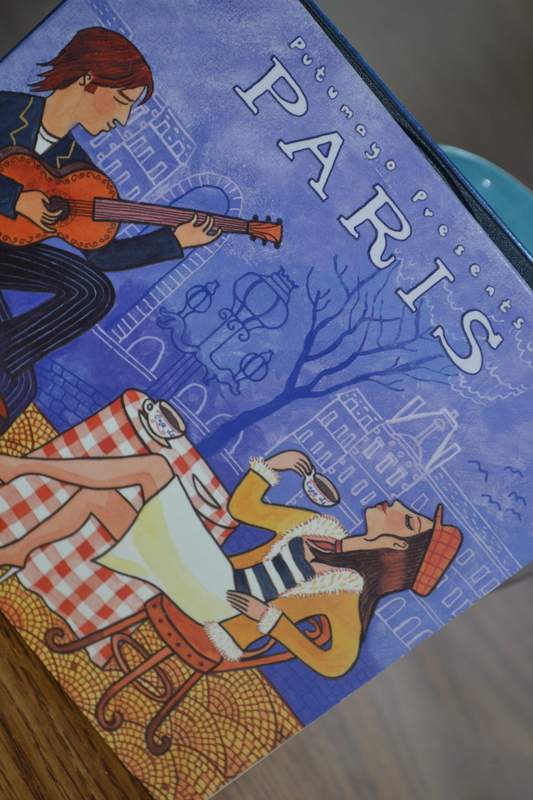 Music (preferably Parisian music ala Putumayo), wine and the kitchen are often all I need. Oh, and a paintbrush. 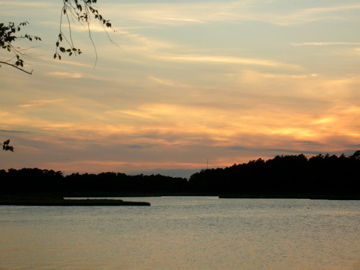 Right now we have a guest from Norway rooming with us in our cozy three-bedroom apartment nestled in the city. The weather has gotten significantly warmer but we are still having the gloomy London weather without the chill. When I look outside I swear I can smell apple cider, pumpkin and gingerbread (my favorite fall smells). But when I go outside, I realize I smell freshly cut grass and budding lilacs, and my wild Irish Afro takes on a life of its own in the humidity. 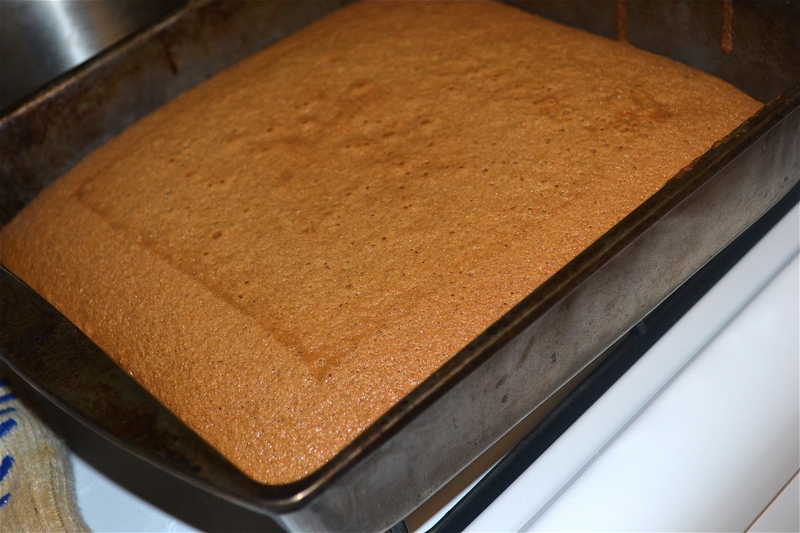 So I figure, as a tribute to the birth of my blog and a love for all things childlike and happy, I will give you the first cake for breakfast recipe. I hope you enjoy…with a freshly brewed cup of coffee. Pour the milk into a saucepan. 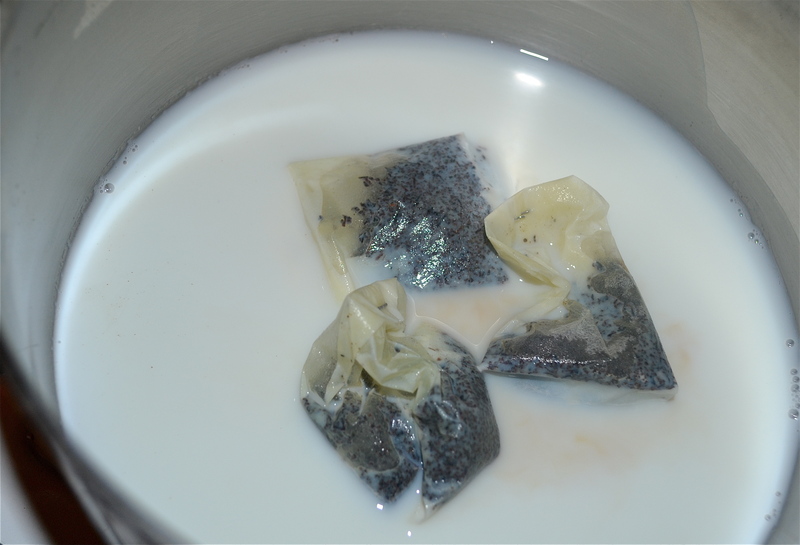 Remove the tags and strings from the teabags and place teabags into milk, making sure they are coated (I kept flipping the teabags over until they were fully immersed). Turn the stove on low and watch for bubbles to form in the milk (do not let it boil). Once bubbles form, remove from the oven and let cool. The milk should be tea-stained. 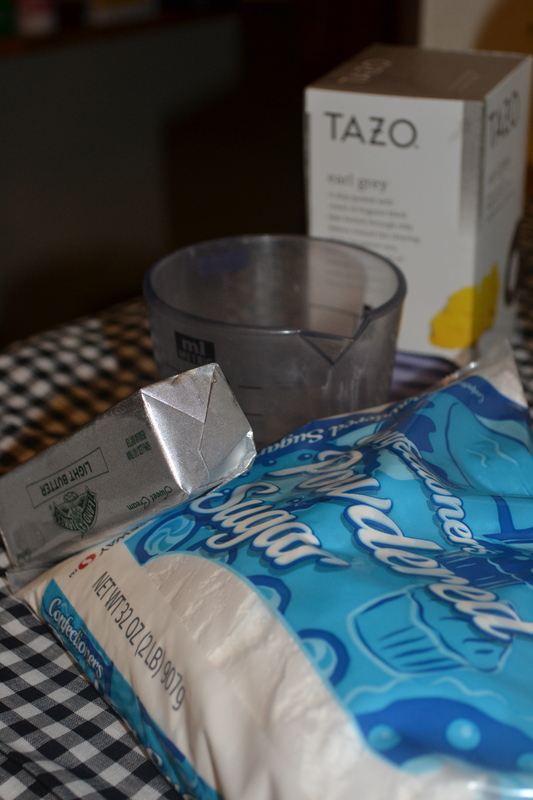 While the milk is cooling, cream together the butter and sugar until blended. Then beat in the eggs, one at a time. Combine baking powder and pastry flour separately. Then add to the butter-sugar mixture and stir well. 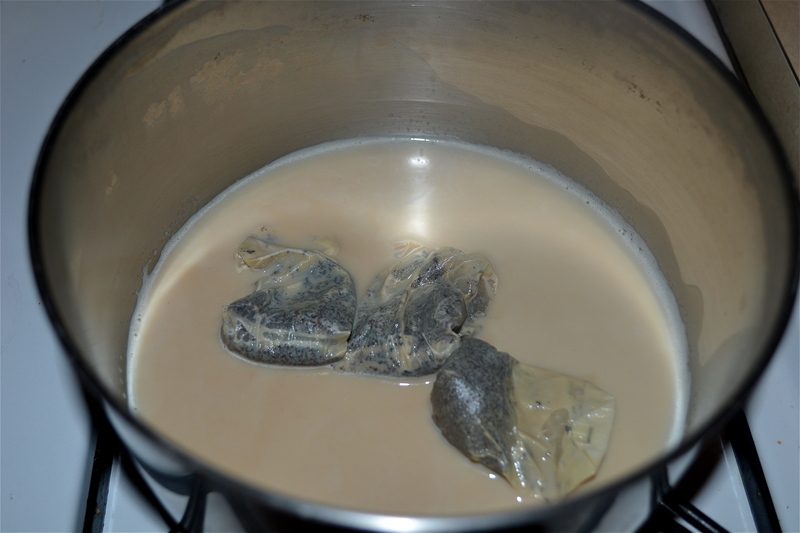 Once the milk is cool, remove the teabags (make sure to squeeze the excess milk out of the teabags before throwing away) and pour the milk into the batter. 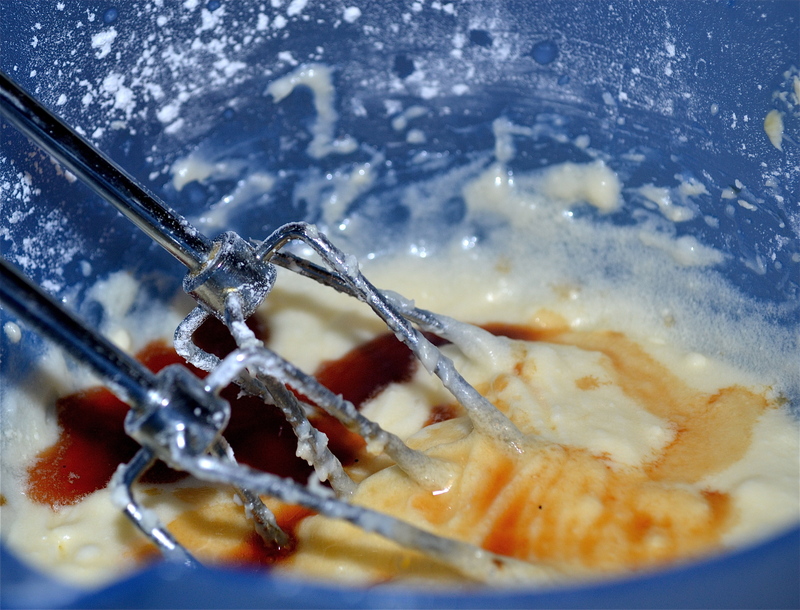 Mix until batter is smooth and creamy. 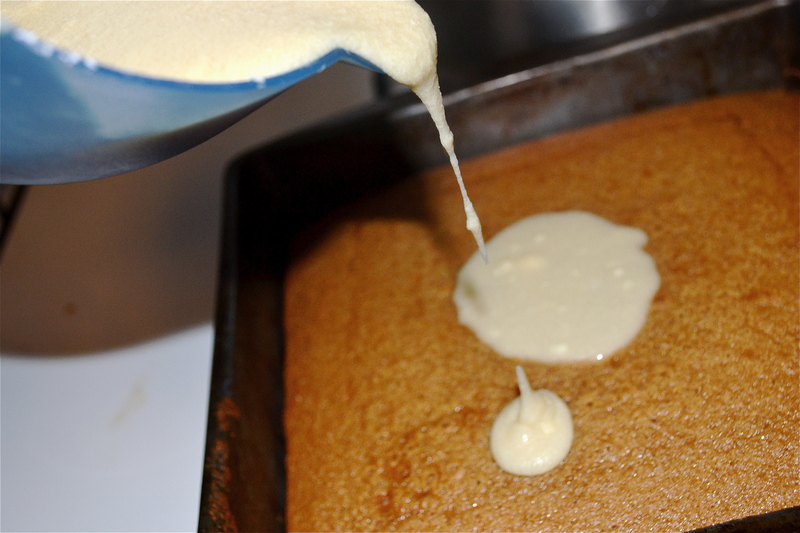 Grease a 9×9 pan (I use butter but you can also use oil or Crisco) and pour the batter into the pan. Bake for 30-40 minutes (it only took 30 minutes in my oven, so keep an eye on it). If you decide to go the cupcake route, only bake for 20 minutes. 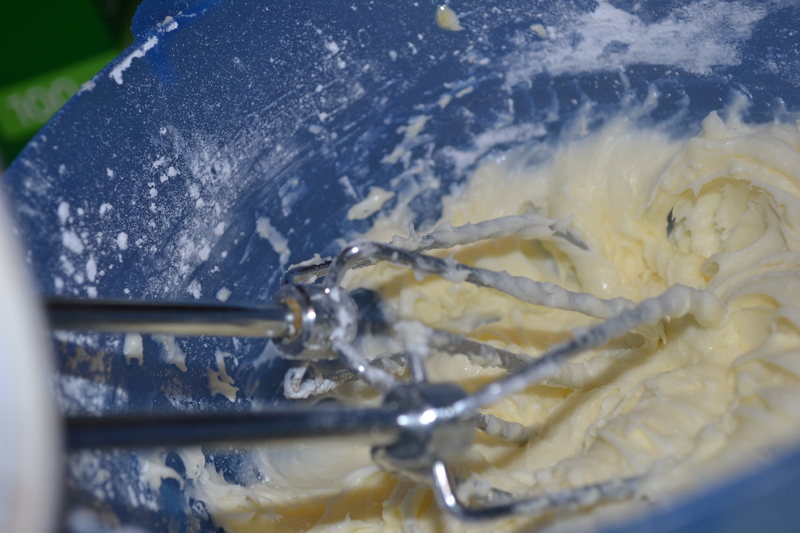 Combine the softened butter and powdered sugar together in a large mixing bowl (I use an electric mixer because it’s far superior to manual arm labor). 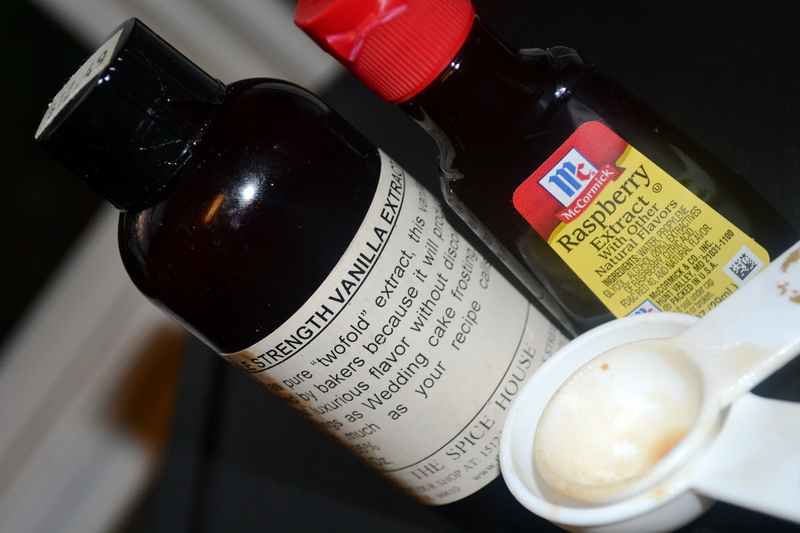 Add the raspberry and vanilla extract, and then the milk. Beat until fully combined. I also licked the beaters…absolutely no willpower. Once the cake was done I left it on the stovetop to cool. 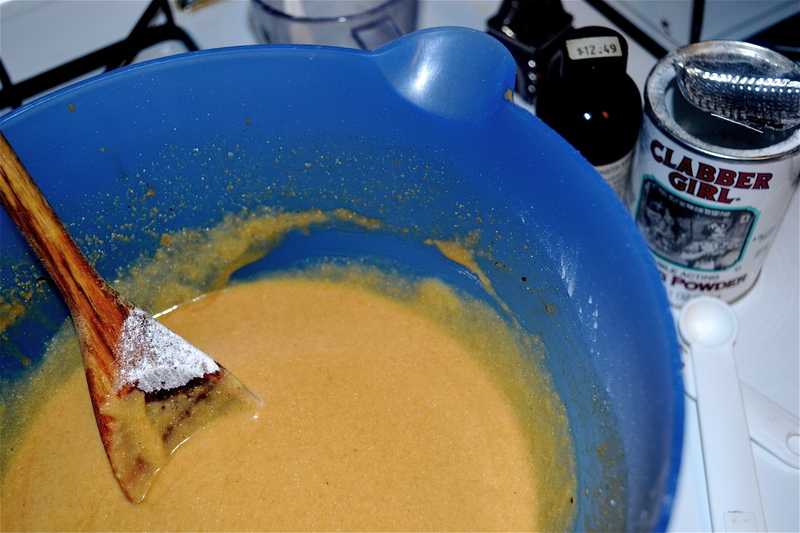 I drank some wine, enjoyed the Parisian café music blaring from my laptop and went back to scavenge whatever batter was left from the mixing bowl or spatula. I also put on a pot of coffee. I must say when I poured the icing on the cake I stood back horrified for a moment. The icing’s consistency was more of a glaze. I immediately cursed the butter and wished I had used my old pal, Crisco. However, while the cake didn’t photograph well (silly, uncooperative glaze), the minute I took the first bite I apologized profusely to butter for ever doubting it. 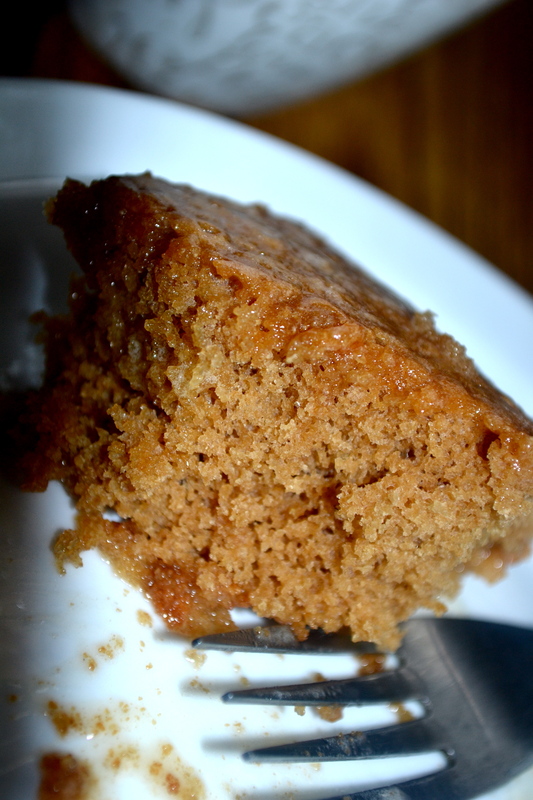 Anything thicker and it would have detracted from the beautiful, yet subtle, Earl Grey flavors and the warm, soft cake (and apparently even days later, the glaze kept the cake just as soft and fresh as it was when I first baked it. Double win!). 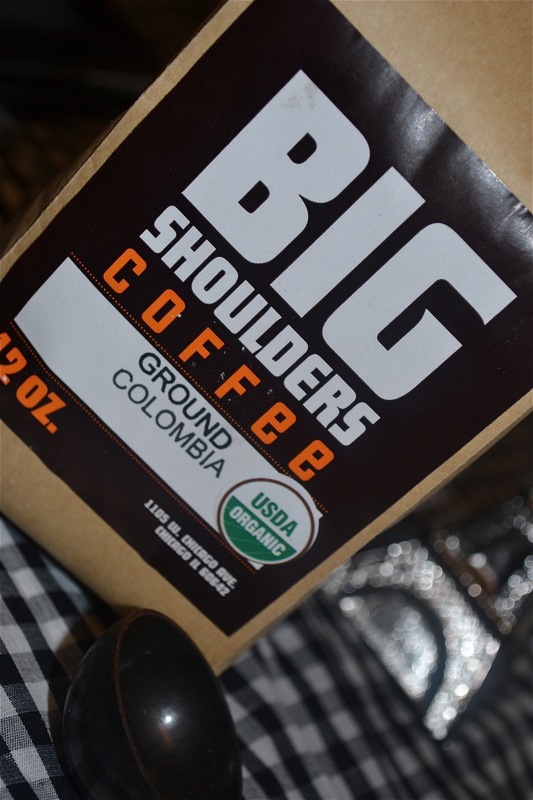 I brewed a gorgeous pot of Colombian coffee and enjoyed how the sugar and flavors of the cake mingled with the black, spicy coffee. It was absolute perfection. Not a bad way to end a long workweek…not bad at all. Thank you so much! Tea always makes everything better! It definitely does, going to make some more now actually!